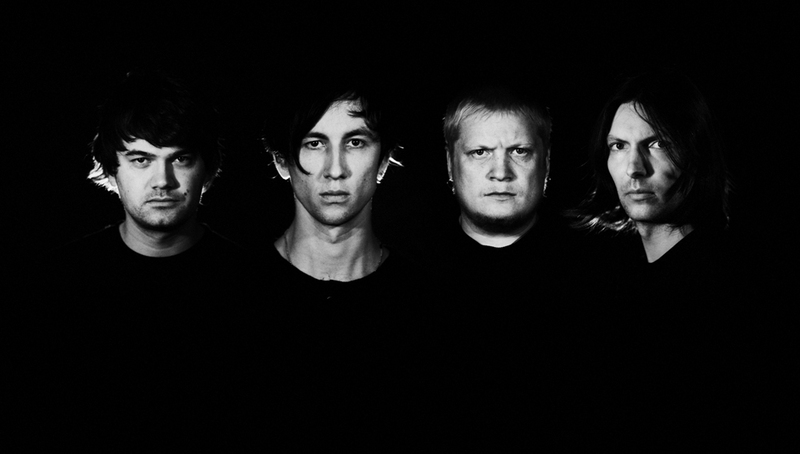 Today LUMEN is one of the most popular Russian rock bands. Some people set them among the representatives of a new wave of the alternative music and others count them as the successors to traditions of punk rock. But the band actually don’t attach importance to labels and definitions. They write honest and uncompromising songs without thinking about ‘layout’ and profit-making policy. These songs resonate with hundred thousands of admirers. Their performances are like a burst of the drive and genuine emotions. That’s why numerous concerts of LUMEN all over the country are sold-outs! 17 years of history, hundreds of concerts in Russia and CIS countries on the largest venues (including Luzhniki Arena in Moscow), 12 albums and an impressive collection of awards from the most influential Russian medias are behind them. Their latest album is “Forever 17 — Always War” released in May 2015. This is a live-record of the show which took place at Stadium Live Moscow on December 6, 2014. Four guys from Ufа couldn’t even dream of such roaring success in 1997. That was the year when the future musicians of the band met each other: Tem (vocal), Den (percussions), Garik (guitar), John (bass). On February 12, 1998 they played their first gig on one of the music festivals. This date the band members count to be the birthday of LUMEN. Several next years LUMEN spent in intensive rehearsals and live shows.In 2002 they released the debut album – the record of a concert at club «Navigator» (Ufa). One of the songs from future CD – ‘Sid & Nancy’ – became a radio hit lately. The album ‘Bez Konservantov’/‘Preservative-Free’ released in 2003 on a major Russian record label nailed down the success. The album ‘Tri puti’/ ‘The Three Ways’ appeared the following year continued the direction set by the first release: LUMEN still wrote biting uncompromising songs rising social problems unlike the majority of rock bands in that period . Two of them – ‘C4’ and ‘Skol’ko’/ ‘How Many» – despite censorship received airtime on FM-stations. Popularity of LUMEN moved to a new level: the band settled on their first Russian tour. In Summer 2005 the first official live-album ‘Odnoj krovi’/ Of The Same Blood’ was out. There next release was soon to follow in several months – the new studio album ‘Svoboda’/ ‘The Freedom’ . In 2006 a concert at St. Petersburg cult club Port became the first official video-record of LUMEN live and became a basis for the live-album ‘Dyshi’/ ‘Breathe». The video ‘Gosudarstvo’ / ‘The State’ from this album became the most shown video for the whole history of the alternative Russian TV channel A-ONE. Several weeks prior to the tour start in support of new release bass guitarist Evgeny Ognev left the band because of artistic conflicts that came out during the studio work. However, none scheduled concerts cancelled as Evgeny Trishin joins the band as a session musician. He remains in LUMEN till today. 2007 became a real break out for LUMEN. In early April the band presented a new programme ‘Pravda?’/ ‘The Truth?‘ at B1, the biggest club venue in Moscow. Some weeks later the musicians won an award of influential Russian rock-magazine «Fuzz» in ‘The Best New Band’ nomination. The Album ‘Pravda?’/ ‘The Truth?’ went on sale at the end of May and became a real sensation. In the end of 2007 LUMEN won another just reward. The band got «RAMP» award established by A-ONE TV channel in two nominations at once – «The Album Of The Year» and «The Band Of The Year». The beginning of 2008 was marked by the longest and the most extensive tour ‘Burya’/ ‘The Storm’. That time it covered not only Russia (from Kaliningrad to Vladivostok!) but CIS cities as well. The next live-album ‘Burya’/ ‘The Storm’,released on CD’s and DVD’s and based on concert record at B1, added to LUMEN’s discography. The band decided to finish the tour with a performance at Luzhniki Arena. In April LUMEN enriched their impressive awards collection with a prize from the music magazine «Fuzz» in nomination ‘ The Album of Year’.It is a paradox that the most non-format LUMEN’s album – ‘Pravda?’/ ‘The Truth?’ – received the biggest number of awards and gained the greatest resonance among the public for the whole story of the band. However, it’s not a surprise because LUMEN is one of the few music bands who remained honest with their fans and themselves. They were not tempted with vicious fruits of show business and carried the shared the real sincerity with their audience. The next studio album ‘Mir’/ ‘The World’ released on May 22, 2009 was available for free download on band’s site prior to the time the disks became available in stores. It was presented live with 2 back-to-back shows at the legendary Gorbunov Palace of Culture (Moscow). In Summer 2009 LUMEN shared the stage with Linkin Park at a festival in St. Petersburg. Linkin Park selected personally the support bands for that performance and LUMEN was the only one local band chosen. LUMEN won glory of one of the most demanded and actively going on tour rock bands not by chance. The true evidence of that became their following release — a double live album ‘LABYRINTH’- which was recorded in 27 cities of Russia and CIS during the same named tour — released Spring 2011. Since 2011 LUMEN started working in the new direction – supporting young musicians and film directors. The band initiated and carried out ROCK SMENA and ROCK BANDA festivals. About five hundred (!) creative teams from different regions of Russia and CIS took part in them. The first part of double album ‘Na chasti’/ ‘Into Pieces’ released in Fall, 2012 became essentially a new studio experience for band. The work on the album was carried in Ufa at LUMEN’s home studio and the band made a decision to do the album mixing abroad. After a long consideration the musicians decided to choose Rob Hill known by his work with Korn, Everlast, Deftones, Molotov, R.E.M and others. The result was impressive: LUMEN, never sounded that dense, powerful and various. When the album was released, the band went to huge tour to support it. This tour has covered around 70 cities and finished in May 2013. The next studio LP ‘Net Vremeni Dlya Lyubvi/No Time For Love’ released on September 23, 2013 was available first in iTunes Store Russia. The album debuted on the 1st place as the most downloaded Russian albums on this resource. ‘No Time For Love’ is a finishing part of a dilogy ‘Na Chasti/Into Pieces’. This was an unusual record with a light, almost acoustic sound. It was also made in partnership with Robert Hill. In 2014 LUMEN decided to record another live album. The funding support was gathered via crowd-funding resource Planeta.ru and established several records at once: the needed sum was collected in 5 days and once the recording was over it got the prize as “the most successful project in category of Music at Planeta.ru”. The shooting and record of the concert called ‘Acoustics’ took place on April 14, 2014 at Meyerhold Center in Moscow. The tickets were available for the donators of the project only. The record was published on CD, DVD, vinyl and flash-cards. Despite the fact that the live record ‘Acoustics’ was released only several months before, LUMEN decided to issue another concert video. The shooting took place at the biggest venue in Moscow, Stadium Live and got the title ‘Forever 17 — Always War’. This was a really long-awaited release for the fans, because the preivous live album with electric programme was released long time ago in 2007. Apart from the most hard and landmark songs the video-album included several absolutely new tracks. The limited edition of the album is available for crowd-funding donators of the project confined to the date shooting. The director became Eugeny Kazakov, who worked with the band previously on lives ‘Dyshi/Breathe’ (2006) and ‘Byrya/The Storm’ (2007). The number of LUMEN fans continues to grow in geometric progression. The band history remembers no scandals or sensations, but only sincere songs that hit the nerve of generation and became true hymns of the youth. LUMEN move forward only and hold true to the direction chosen firstly.